Move to the country for a dollar a week! Dulili is suffering a people drought. Over the years more people have moved away than have arrived to stay in this old New South Wales farming town, and now only a handful of young families and elderly residents are left. The locals put a plan into action to entice newcomers: offering the town's empty houses to people from anywhere in Australia. Who could resist renting a beautiful homestead for a dollar a week? Three people, eager for a new chance at life, take up the challenge. Adele, newly retrenched and with a daughter in tow, is living on hope; while newly divorced Bea has a point to prove both to herself and her family. For Lachlan, a farmhouse for a buck, a job and a town to call his own seems perfect. But can he keep his secret in such a close-knit community? Are the newcomers prepared for the revelations, disruptions and distractions of love? 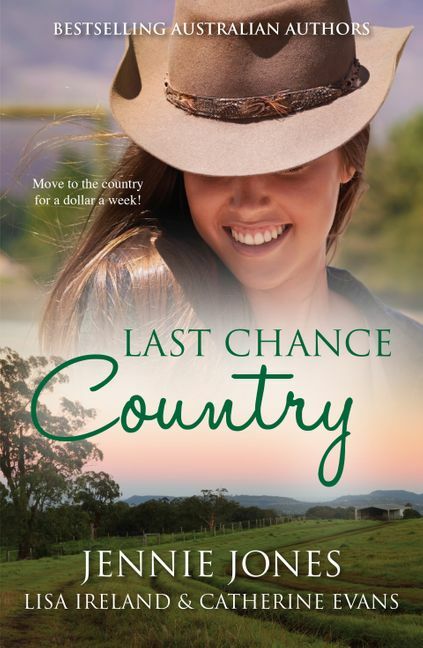 Featuring stories by bestselling authors Jennie Jones, Lisa Ireland and Catherine Evans, Last Chance Country is a collection of small town dreams, second chances and the healing power of hope.